A recent study shows that 49 per cent of UK adults report that they, or someone else in their household, avoids foods or ingredients of some type, therefore ensuring that you offer a range that can appeal to consumers following a “free from” lifestyle is imperative. In particular, research has shown that gluten free products are not only for Coeliacs, they are a popular choice with people following a healthy eating lifestyle. For Foodservice operators this growth provides a huge opportunity to engage the increasingly socially aware consumer through providing “free from” choices across their outlets. The gluten free category is the second largest free from category, after dairy free. 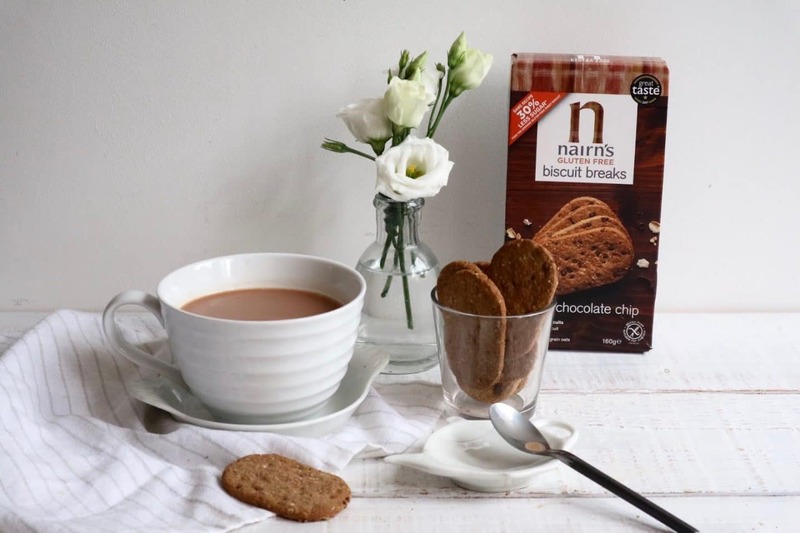 Our supplier Single Source are now offering products from Nairn’s, the biggest baker of Gluten Free sweet and savoury branded biscuits in the U.K. Nairn’s have a +22 per cent year on year sales growth, demonstrating that there is a huge demand for gluten free products. By listing the Nairn’s range you are buying into an established brand that can help deliver growth and customer satisfaction. The Nairn’s range also has further benefits in addition to being gluten free. All products are free of artificial colours, flavours and preservatives and are GMO (genetically modified organisms) and hydrogenated fat free. As a source of protein, they are the perfect snack on-the-go for busy people and operators. The individually wrapped products ensure that cafes, restaurants and food-to-go outlets are able to offer a gluten free choice that is sealed to avoid contamination, which is extremely important for coeliacs. But the great news is that while they are gluten free they are packed with great natural flavour and taste! Choose from the three flavours and delight your customers today. Watch out in the New Year as Nairn’s will be releasing a new range of gluten free products with 40 per cent lower sugar than the average fruit/cereal bar. There will be three delicious flavours to choose from – Apple & Cinnamon, Cacao & Orange and Mixed Seeds & Protein. These will be great for consumers looking to start a healthier 2019. For more information on the Nairn’s range from Single Source, contact us today.